1 Availability of rewards varies by country. For more information, see http://www.hp.com/go/learnaboutsupplies. 2 Based on HP internal testing, using paper with the ColorLok® logo. 3 Based on paper-industry predictions for acid-free papers and Original HP inks; colorant stability data at room temperature based on similar systems tested per ISO 11798 and ISO 18909. 4 Compared with the majority of color laser printers < $300 USD, Q3 2016; market share as reported by IDC as of Q3 2016. Cost-per-page (CPP) comparisons for laser supplies are based on published specifications of the manufacturers’ highest-capacity cartridges and long-life consumables. CPP comparisons for high-capacity HP ink supplies are based on published specifications of the manufacturers’ highest-capacity cartridges. CPP based on high-capacity ink cartridges' estimated street price and page yield. ISO yield based on continuous printing in default mode. For more information, see http://www.hp.com/go/learnaboutsupplies. 5 HP Planet Partners Program availability varies. For details, see http://www.hp.com/recycle. On recycled materials in cartridges, see http://www.hp.com/go/recycledcontent. 6 Program availability varies. Original HP cartridge return and recycling is currently available in more than 50 countries, territories and regions in Asia, Europe, and North and South America through the HP Planet Partners program. 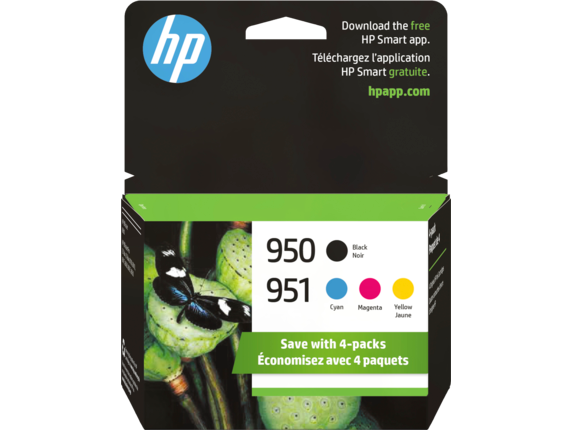 For more information, visit http://www.hp.com/recycle 7 Compared with individual HP ink cartridges. Based on estimated U.S. street price. Actual retail pricing may vary. 8 Compared with individual HP ink cartridges. Based on estimated U.S. street price. Actual retail pricing may vary. 1 Based on HP internal testing, using paper with the ColorLok logo. 2 Prints made with HP OfficeJet Pro are fade and water resistant. See http://www.hp.com/go/printpermanence. 3 Compared with HP 951 Cyan/Magenta/Yellow Original Ink Cartridges. For more information, see http://www.hp.com/go/learnaboutsupplies. High-yield cartridges not included; please purchase separately. 4 Compared with the majority of color laser printers < $300 USD, Q3 2016; market share as reported by IDC as of Q3 2016. Cost-per-page (CPP) comparisons for laser supplies are based on published specifications of the manufacturers’ highest-capacity cartridges and long-life consumables. CPP comparisons for high-capacity HP ink supplies are based on published specifications of the manufacturers’ highest-capacity cartridges. 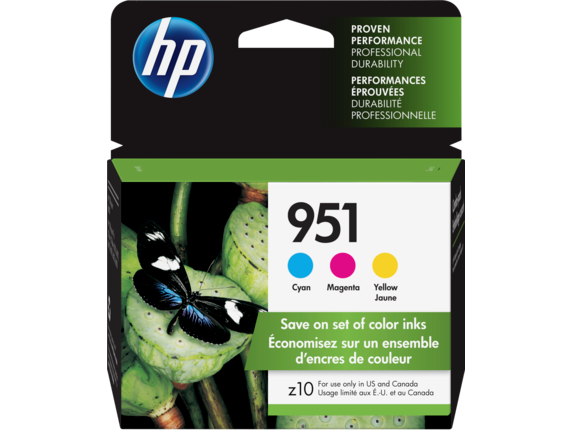 CPP based on high-capacity ink cartridges' estimated street price and page yield. ISO yield based on continuous printing in default mode. For more information, see http://www.hp.com/go/learnaboutsupplies. 5 HP Planet Partners Program availability varies. For details, see http://www.hp.com/recycle. On recycled materials in cartridges, see http://www.hp.com/go/recycledcontent. 6 Program features and availability may vary by country. For more information, visit http://www.hp.com/learn/suresupply. 7 Compared with individual HP ink cartridges. Based on estimated U.S. street price. Actual retail pricing may vary. 8 Compared with individual HP ink cartridges. Based on estimated U.S. street price. Actual retail pricing may vary. 1 Based on HP internal testing, using paper with the ColorLok logo. 2 Prints made with HP OfficeJet Pro are fade and water resistant. See http://www.hp.com/go/printpermanence. 3 Compared with HP 950/951 Black and Color Original Ink Cartridges. For more information, see http://www.hp.com/go/learnaboutsupplies. 4 Compared with the majority of color laser printers < $300 USD, Q3 2016; market share as reported by IDC as of Q3 2016. Cost-per-page (CPP) comparisons for laser supplies are based on published specifications of the manufacturers’ highest-capacity cartridges and long-life consumables. CPP comparisons for high-capacity HP ink supplies are based on published specifications of the manufacturers’ highest-capacity cartridges. 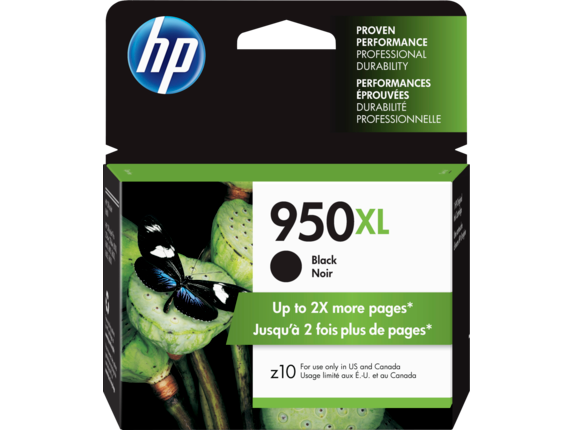 CPP based on high-capacity ink cartridges' estimated street price and page yield. ISO yield based on continuous printing in default mode. For more information, see http://www.hp.com/go/learnaboutsupplies. 5 HP Planet Partners Program availability varies. For details, see http://www.hp.com/recycle. On recycled materials in cartridges, see http://www.hp.com/go/recycledcontent. 6 Program features and availability may vary by country. For more information, visit http://www.hp.com/learn/suresupply. XL Black yields up to 2,300 pages. Color cartridges yield up to 700 pages each. 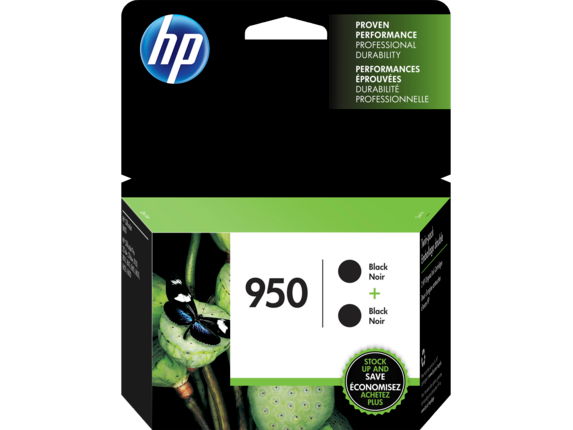 Click here to see HP 950XL High Yield Black Original Ink Cartridge details. Click here to see HP 951 3-pack Cyan/Magenta/Yellow Original Ink Cartridges details. Each black yields up to 2,300 pages. Color cartridges yield up to 1,500 pages each. XL inks fit just like the standard cartridge. 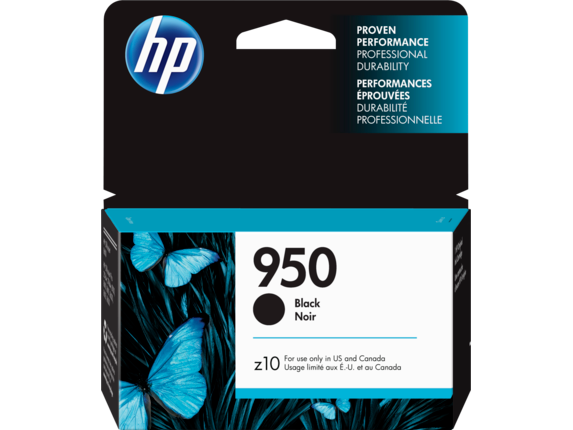 Click here to see HP 951XL High Yield Cyan Original Ink Cartridge details. Click here to see HP 951XL High Yield Magenta Original Ink Cartridge details. Click here to see HP 951XL High Yield Yellow Original Ink Cartridge details.